This show presents fans with the most up to date racing information for the Canadian racing scene in Auto Racing and in Snow Cross Racing. 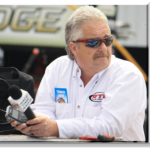 Experience “life in the fast lane”, join host Joe Chisholm for the fastest hour on radio. Error: Error validating access token: Session has expired on Friday, 08-Feb-19 11:36:11 PST. The current time is Friday, 19-Apr-19 15:49:07 PDT.